Anyone who finds themselves in central Mitcham with a bit of time to spare could do a lot worse than take a walk with one of the two new Mitcham Maps. Both maps have a huge number of places of interst on them, and offer a couple of suggested walk as well as letting you simply wander around and learn about the amazing history and heritage of our area. The maps include existing places and places that have disappeared for ever. The area covered runs from Figges Marsh to Mitcham Common, from Merton Abbey Mills to Mitcham town centre. 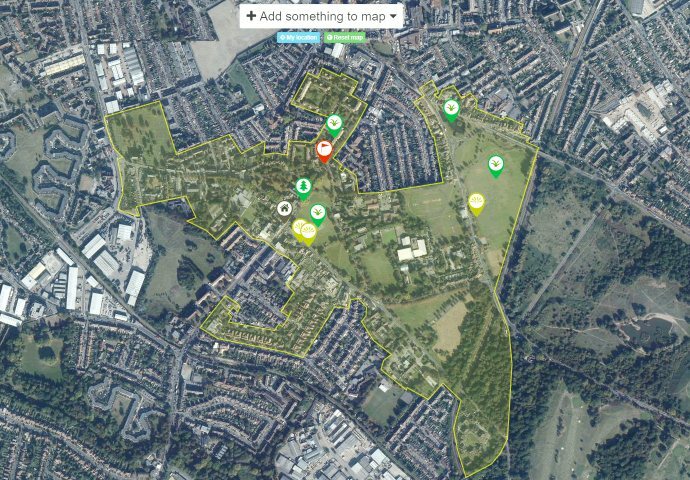 This entry was posted in Cricket Green Conservation Area and tagged Mitcham Maps, Mitcham Society on October 27, 2012 by mitchamcricketgreen.